The Too Faced brand is relatively new to New Zealand, but since the launch of Mecca Maxima us Kiwi makeup mavens have the chance to try this American staple. 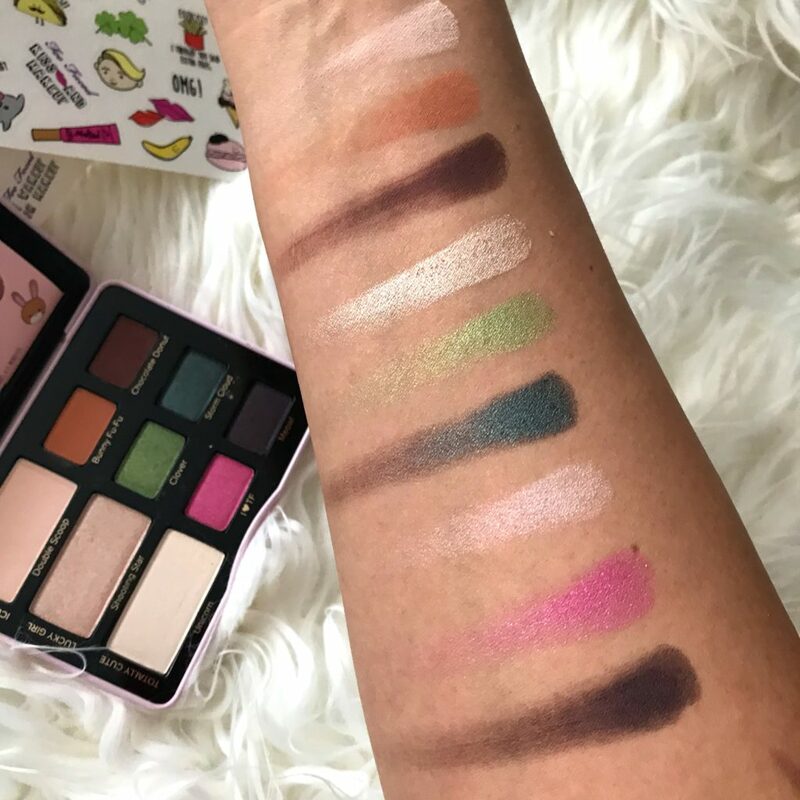 Known for their iconic Chocolate Bar palettes that are the darlings of the YouTube world, Two Faced started out in 1998 with the ethos of having fun through makeup and packaging. 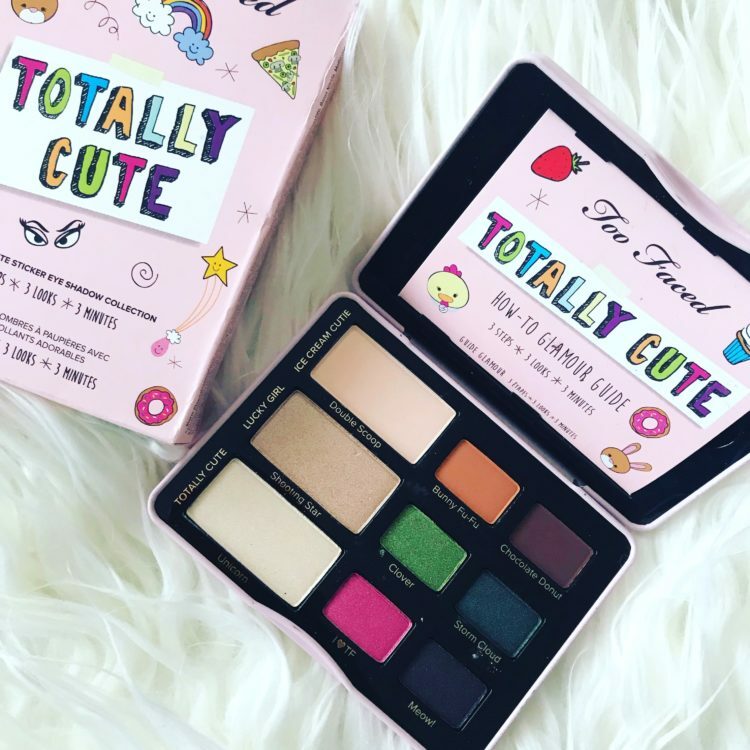 Too Faced regularly features little mini limited edition palettes, of which the Totally Cute Palette is one. Well, I have to say that the naming of this palette is spot on – it’s totally cute!!! It comes in a little pink hard-wearing tin palette that doesn’t have much decoration save for the Too Faced logo. 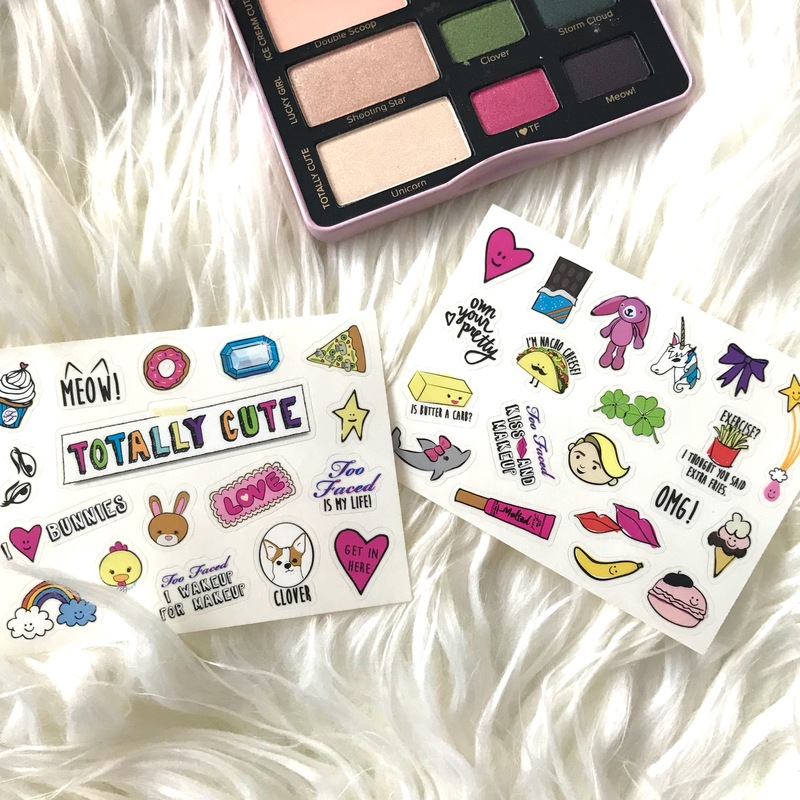 In the box, you’ll find two sheets of cute little stickers that you can use to decorate your palette. I know some people found this to be a little annoying and kid focused, but I love it! It’s cute (how many times can I say cute in one blog lol). You can see how I decorated mine below. The palette comes with nine colours, three of which are matte and the rest are shimmers. I’ll start right off by saying the three matte colours are my jam. 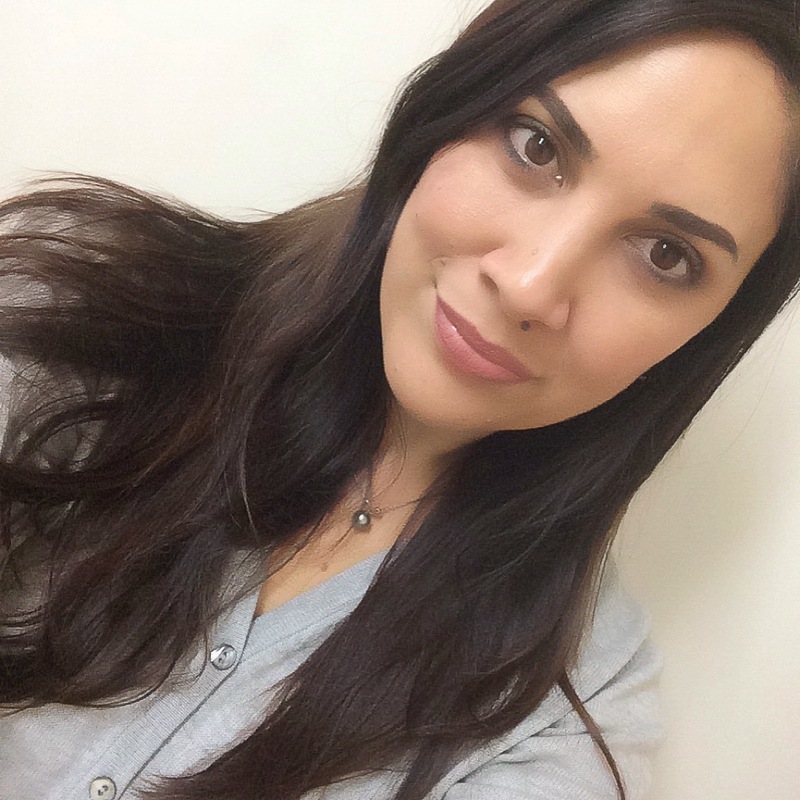 Double Scoop is the perfect bone coloured matte that I use to set my eye shadow primer, Bunny Fu-Fu is the most gorgeous warm toned crease colour and Chocolate Donut is a warm deep brown that I use for adding depth and also shadowing out my under-eye. If you just want to use these three colours for a look, you’re set! Shooting Star is a beautiful champagne shimmer that I use either on the lid or as a brow bone highlight. 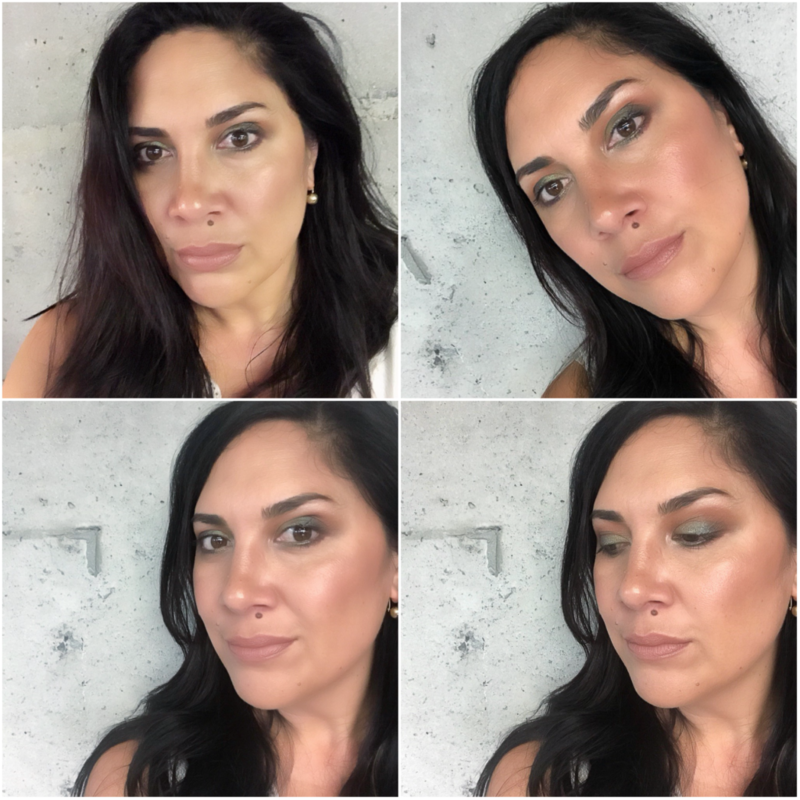 Clover is a gorgeous mid-toned green that makes my brown eyes pop and Storm Cloud is that lovely deep mysterious bluey green that adds dimension and depth. Unicorn looks like a light shimmer, but almost has a bit of a duochrome pink too it (see the swatches below). I <3 TF is a hot pink that is beautiful on the lid or even slighly blended into the crease to add a little bit of warmth to it (but not too much because it does have a shimmer to it). Meow is a blackened plum that has a slight shimmer, but not too much. As you can see from the swatches below, the colours are super pigmented and apply smoothly. I was really impressed with the colour payoff. Now, I know some of you may look at this palette and think you’re only going to use the safe colours, but I urge you to step out of your comfort zone on this one. You can create some amazing looks and no, you don’t have to be 12 to rock these colours! 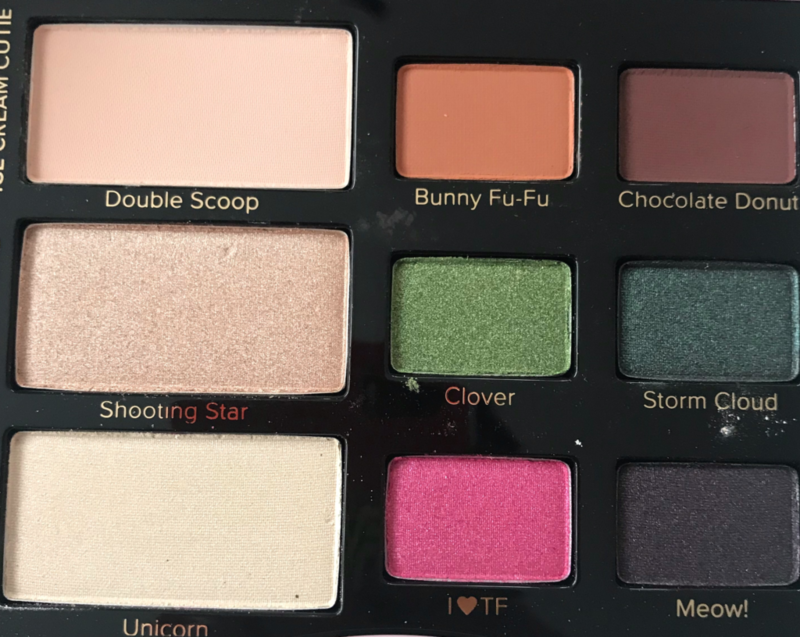 In the look below, I used Double Scoop to set my base, Bunny Fu-Fu as my crease colour, Clover is on my lid and I added depth by applying Stom Cloud in the outer corners and tailing off with a bit of Chocolate Donut. I brought the same colours under the eye as well. Shooting Star is my brow bone highlight. 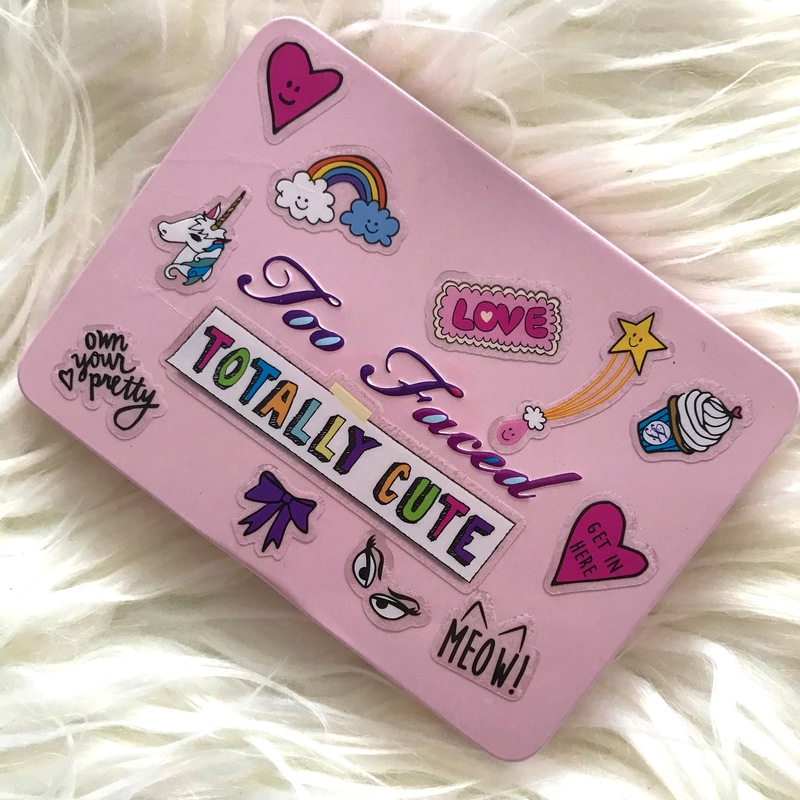 The Too Faced Totally Cute Palette is a palette you need. It’s lovely in packaging and performance. Now, it is limited edition and it came out in the US a while ago, but you can still lay your hands on it. I bought mine from Onceit who feature it quite regularly. I bought mine for NZ$34.00 with free delivery.